If there is one thing I can say about Paris or more acurately, France as a whole, its that the food is amazing – no matter where you eat! It can be some small mom & pop bakery located in quite alley or a larger restaurant with rows upon rows of tables and chairs in a popular square. Regardless, you can rarely go wrong. Because my visit was very short this time around, I needed to make sure that my limited number of meals were well spent! That meant, making sure I ate my favourite French foods: croque madame, pain au chocolat and of course, macarons! Below are some of my favourite foods from my two days in my favourite city! The best pain au chocolate I have had in my life so far! I bought this from the Laduree shop and frankly, it is the flakiest croissant I’ve ever eaten! Delish! 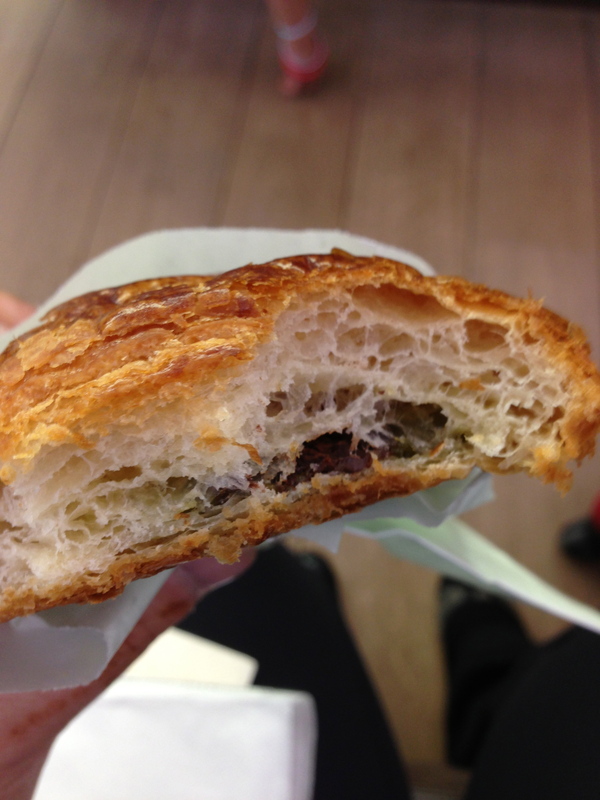 Inside Laduree’s pain au chocolat avec pistache! 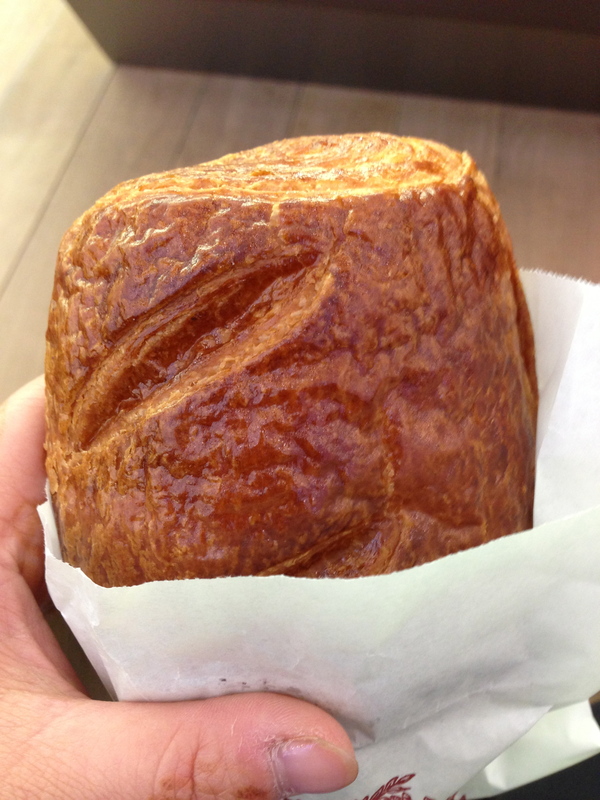 You can see the millions of air pockets within the croissant! So yummy! 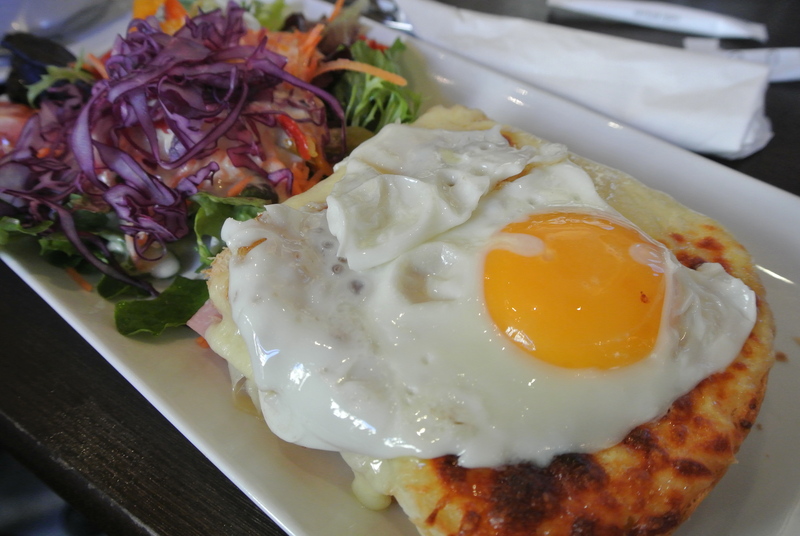 One of my favourite all time meals, sitting in a French bistro having a croque madame! Its a hot ham and cheese sandwich taken to the next level! 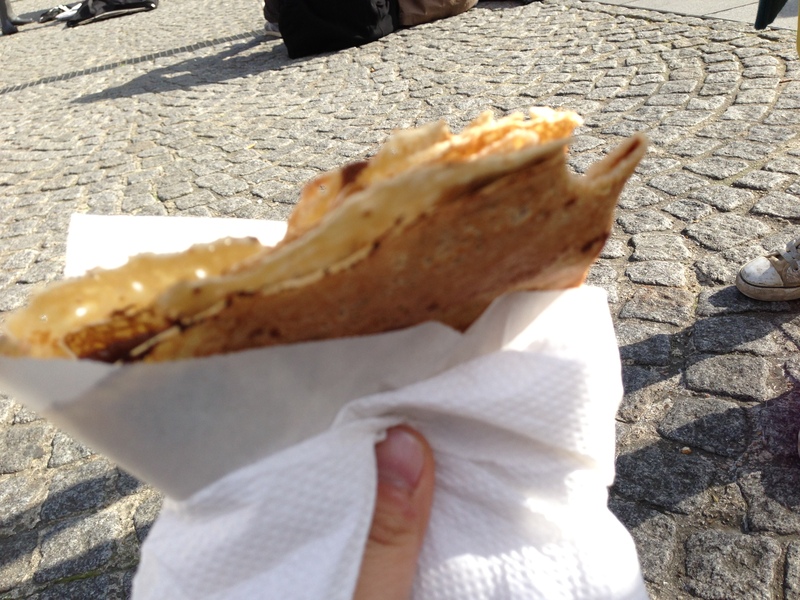 My favourite street side dessert – a freshly made crepe spread with hazelnut chocolate (nutella). Best when the crepe is hot so it slightly melts the chocolate! 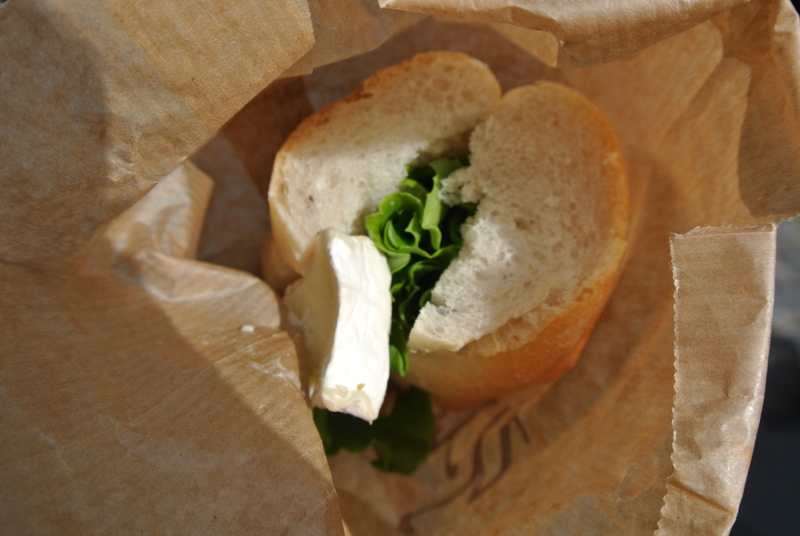 My favourite grab and go lunch when travelling, a french baguette stuffed with butter, large slices of brie and lettuce. 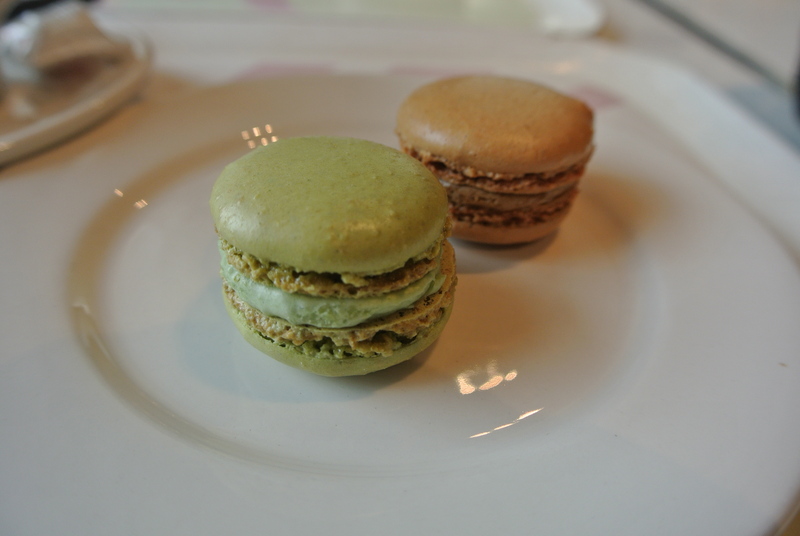 Pistachio and coffee flavoured macarons from a brief coffee break at Galeries Lafayette!